IDF aircraft strike at Gaza terror cell which approached Israeli security fence. 3 terrorists reported killed. Three Gaza terrorists were reported killed Sunday evening, after they approached the Israel-Gaza border and attempted to plant an explosive device near the Israeli security fence. After Israeli forces spotted the three-member terror cell along the border, an IDF aircraft opened fire on the group. Shortly afterwards, Arab media outlets reported that three terrorists had been killed by IDF aircraft fire in the Gaza Strip. 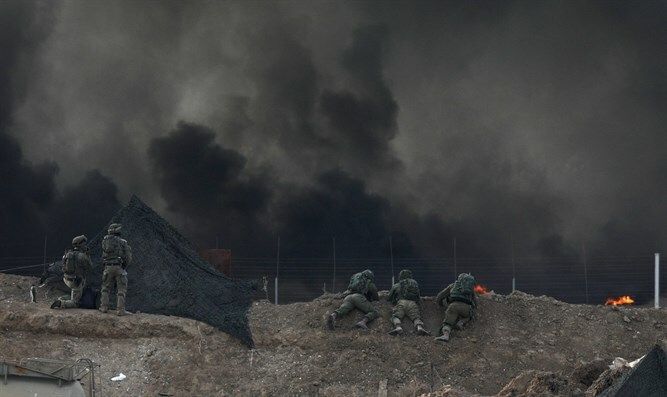 On Friday, terrorists in the Hamas-ruled Gaza Strip roughly 40 rockets at Israel. Seventeen rockets were intercepted by Israel’s Iron Dome missile defense system, while two more landed inside the Strip. The remaining rockets landed in Israeli territory, injuring six. The IDF retaliated with airstrikes on some 80 Hamas positions across the Gaza Strip.